This report – published by the Commission for Cultural Affairs of the Islamic Emirate after a long rigorous research – showing the percent of areas under complete control of Mujahideen, complete control of enemy, mostly under Mujahideen control and other statistics. Baghran, Baghni, Musa Kala, Nawzad, Nawa, Khanasheen, Deshu and Sangin (fell under Mujahideen control on 23 March 2017) are completely liberated. In Garmsir, Marjah, Nad Ali, Gerishk, Kajaki and Washir, the enemy only controls the district centers (around 2% territory) while 98% areas are under Mujahideen control. Babaji and Nahri Siraj are new districts in the setup of Islamic Emirate and are completely liberated. The enemy only controls 5% of Lashkar Gah, 95% of territory including PD1, PD2 and PD3 are under the control of Mujahideen. Neka, Chahrbaran, Omna, Dela and Geyan are completely liberated. Mujahideen control 60% areas in Zerhok, Gomal, Sarhawza, Khushamand, Waza Khwa and Bermal district whereas 40% territory including the district centers are with the enemy. Urgun, Yousuf Khel, Sarobi and Jani Khel district are split, 50% under Mujahideen control and 50% under enemy control. Provincial capital Sharana, Mata Khan, Yahya Khel, Khair Kot, Tarwa, Wormayi and Shakin are under 70% enemy control, 30% Mujahideen control. Ghorak, Registan, Miyanasheen and Shorabak are completely liberated. In Maiwand, Shahwalikot, Khakrez, Maruf and Arghastan, 80% territory is in Mujahideen control and the remaining 20% with the enemy. Mujahideen do not control any specific area in Dand, Panjwai, Zhari, Arghandab, Daman, Takhta Pul and Boldak, only carryout guerilla attacks. Gulistan, Bakwa, Bala Baluk, Pusht Koh and Khak-e-Safid are completely liberated. Farah Rod, Pusht Rod and Anar Dara are 97% under Mujahideen control, only 3% including district centers under enemy control. Enemy controls 96% areas in Shebkoh and Jwand, Mujahideen control 4%. 20% territory of Pur Chaman is under Mujahideen control, rest with enemy. Provincial capital Farah is split, 50% under Mujahideen and 50% under enemy control. Nawa, Khogyani, Rasheedan and Zana Khan are completely liberated. Gero district center and 2% territory is under enemy control, rest under Mujahideen control. Enemy controls district centers and 20% territory in Waghaz, Shilgar, Deh Yak, Qarabagh, Aab Band and Gelan, 80% areas under Mujahideen control. Mujahideen control 60% areas of Maqur, Khwaja Omari and Jaghatu, enemy controls 40% including district centers. Nawar, Ajiristan and Malistan are under complete enemy control, Mujahideen carry out guerilla attacks. Kohistan, Al Badr, Al Fath and Sheram are completely liberated. Enemy controls 10% area including district centers in Sozma Qala and Sayyad, 90% territory under Mujahideen control. Saripul capital, Sangcharak and Sayedabad are split, 50% under enemy and 50% under Mujahideen control. Gosphandi and Balkhab are 90% including district centers under enemy control, 10% under Mujahideen control. 80% territory in Qisar, Almar, Lolash, Pashtun Kot and Jumma Bazar are under Mujahideen control, 20% including district centers under enemy control. Mujahideen control 90% areas of Chilgazi, Shireen Tagab, Dawlatabad and Bandar districts, enemy controls 10% including district centers. Gurziwan and Andkhoi are split, 50% under enemy and 50% under Mujahideen control. Only 10% areas of the capital Maimana and Balchiragh district are under Mujahideen control, enemy holds 90% territory. Kharjoi district is completely liberated. Enemy only controls 3% territory (only district centers) in capital Tarinkot, Chinartu, Khas Uruzgan, Chahr Chino, Chora and Dehrawod districts, 97% under Mujahideen control. 70% of capital Puli Khumri and Markazi Baghlan are under Mujahideen control, enemy controls centers and 20% areas. Mujahideen control 30% of Burka and Doshi, 70% under enemy control. Khinjan, Puli Hisar, Deh Bala, Banu, Jalga, Khost, Fareng and Guzar Gah are under completely enemy control, Mujahideen only carry out guerilla attacks in some districts. 95% area of Dasht-e-Archi and Chahr Dara are under Mujahideen control, enemy only controls 5% including district centers. Qala Zaal and Imam Sahib are 70% under Mujahideen control, 30% including district centers with enemy. 20% including district center of Khanabad is under enemy control, 80% in Mujahideen hands. Ali Abad is 60% under Mujahideen control, 40% including district center is with enemy. Three new district centers newly created by enemy (Gul Tapa, Kalbad and Aqtash) are completely liberated however are not formally recognized by Islamic Emirate as districts. Only 6% territory including district centers of Zurmat and Jani Khel are with enemy, 94% is under Mujahideen control. 70% areas of Sayed Karam, Laja Mangal and Ahmad Khel are under Mujahideen control, 30% including district centers are with enemy. Mujahideen control 30% territory in Waza Zadran and Tsamkani, rest is with enemy. Capital Gardez, Zazi Aryub and Patan are split, 50% area with enemy and 50% area with Mujahideen. Nawbahar and Khak-e-Afghan are completely liberated. In Daichopan and Atghar, enemy only controls 10% including district centers while 90% territory is under Mujahideen control. Original district center and 70% area of Arghandab is under Mujahideen control, enemy controls 30% including an arbitrary check post called a district center. Mujahideen control 60% territory of Mizana, Seyuri, Shomolzi, Shahjoi, Shahr-e-Safa and Shinki districts, rest including district centers are with enemy. 60% of the capital Qalat is in enemy hands, Mujahideen control 40% area. Warduj and Yamgan are completely liberated. In Jurm and Raghistan, only district centers remain with enemy while 95% territory is under Mujahideen control. Badakhshan capital is 25% under Mujahideen control, rest is with enemy. 60% territory in Baharak, Kohistan, Yawan, Yaftal Payen, Tagab, Argo, Darayem and Shuhada is in Mujahideen control, 40% including district centers with enemy. Arghanj Khwa and Keran wa Munjan are 70% under Mujahideen control, 30% with enemy. Enemy has presence in district centers of Khash, Tashkan, Mamai, Nasai, Shakai, Kof Aab, Khwahan, Zebak, Shaghnan, Ishkashem, Shar-i-Buzurg and Wakhan but due to the areas being remote, the Mujahideen nor the enemy hold any territory. Control of Chimtal, Chahr Bolak and Shor Tepa is split, 50% with enemy and 50% with Mujahideen. 25% territory in Nahr Shahi, Dawlatabad and Sholgara is under Mujahideen control, enemy controls 75%. In Chahrkeen, Kaldar and Khas Balkh, enemy controls 80% area and Mujahideen only 20%. Mujahideen carry out guerilla attacks Zari, Keshenda, Dehdadi and Chahi districts. E95%nemy only controls district center of Badpesh, Mujahideen control 95% territory. 70% area of Daulat Shah, Alishang and Alingar is under Mujahideen control,, 30% including district centers are with enemy. Enemy controls 80% territory in the capital Mehtarlam and Qarghaye district, Mujahideen 30%. 95% of Jaghatu and Jalga are completely under Mujahideen control, enemy only controls 5% including district centers. Sayedabad, Chak, Nerkh, Jalrez and capital Maidan Shahr are 70% under Mujahideen control, 30% enemy including district centers under enemy control. Delaram, Khashrod and Chakhansur are 90% under Mujahideen control, 10% including district centers with enemy. In Chahrbarki and Kang, 30% territory including district centers are with enemy while remaining 70% territory in Mujahideen control. In provincial capital of Nimroz, Mujahideen control 30% are and the enemy controls rest. Dara Suf and Hazrat Sultan are 60% under Mujahideen control, 40% including district centers are with enemy. Mujahideen control 20% area in the capital Aibak and Tashqurghan district, enemy controls rest. Feroz Nakhchar, Rue Doaab and Khoram districts are completely under enemy control. Around 40% territory of Sarubi district is under Mujahideen control, 60% in enemy hands. Mujahideen maintain presence in 20% area of Musahi, Khak-e-Jabbar, Chahr Asyab, Paghman, Shakar Dara, Qarabagh, Deh Sabz and Bagrami districts, rest is in enemy control. Mujahideen only carry out guerilla attacks Gul Dara, Mir Bacha Kot, Farza, Kalakan and Astalef districts. 80% of Kunar capital Asadabad is in enemy control, Mujahideen control 20%. Mujahideen control 80% territory in Marawara, Khas Kunar, Sarkano, Shegal, Dangam, Asmar, Nari, Nurgul, Tsukai, Narang, Watapur and Chapa Dara (Kandi), enemy only controls 20% area including district centers. Enemy only control district centers of Ajiristan, Gezab and Kajran districts. Keti, Eshtarli and Khadir are 30% under Mujahideen control, 70% enemy. Mujahideen do not control any territory in Nawmesh, Shahristan, Neli, Maramor and Sang-e-Takht districts. Enemy controls 30% area including district centers of Shindand, Gulran, Kushk-e-Kohna and Adraskan, Mujahideen control 70% territory. Farsi, Chisht Sharif, Awba, Pashtun Zarghun and Rabat-e-Sangi are 80% under enemy control, 20% Mujahideen. Mujahideen only carryout guerilla attacks in Ghoryan, Zanda Khan, Injeel, Guzara, Kohsan and Karukh districts. Mujahideen control 70% territory of Darqad district, enemy control 30% including district center. Khwaja Bahauddin is 40% under Mujahideen control, 60% enemy. 20% area of Khwaja Ghar and Eshkamesh is under Mujahideen control, 80% enemy. Yangi Qala is 85% under enemy control, 15% Mujahideen. Provinical capital Taluqan, Baharak, Bangi, Chal, Chah Aab, Dasht-e-Qala, Rustaq, Farkhar, Kulfgan, Namak Aab, Warsaj and Hazar Somoj are under complete enemy control. Qushtepa, Darzab and Khwaja Dukoh is 70% under Mujahideen control, 30% including district centers in enemy hands. 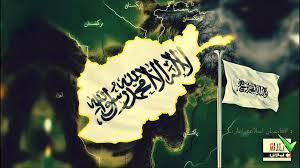 60% territory of capital Sheberghan is under Mujahideen control, 40% enemy. Mujahideen control 90% area of Faizabad, Aqcha and Khanaqa districts, enemy controls 10% including district centers. Mujahideen only carry out guerilla operations in Qarqeen, Kham Aab, Mangajek and Mardeyan districts. Alasay is 95% under Mujahideen control, 5% including district center is with enemy. 70% territory of Tagab district is under Mujahideen control, 30% enemy. Najrab district is split, 50% with enemy and 50% with Mujahideen. Mujahideen only carry out guerilla attacks in provincial capital, Hisa Awal, Hisa Du and Koh Band districts. Kharwar district center and 90% area is liberated, enemy only maintains presence in desert area equaling 10%. 10% including district centers of Baraki Barak, Tsarkh and Azra are under enemy control, Mujahideen hold 90% territory. Mujahideen control 30% area in Logar capital and Muhammad Agha districts, enemy controls 70%. 95% of Hisarak and Sherzad districts are under Mujahideen control, 5% including district centers with enemy. Surkh Rod, Chaparhar, Pachir Agam, Mohmand Dara and Ghani Khel districts are split, 50% in enemy and 50% in Mujahideen hands. Khogyani, Bati Kot and Lalpura are 75% under Mujahideen control, 25% enemy. Enemy controls 75% of Rodat and Behsud districts, Mujahideen 25%. Mujahideen only carry out guerilla operations in Kama, Khewa, Dara Nur, Gwashta and Dur Baba. Deh Bala, Kot, Spin Ghar, Achin and Naziyan districts are 25% under Mujahideen control, 30% enemy and 45% under miscellaneous bandits. Tagab Alam is completely liberated. Gormach is 95% under Mujahideen control, enemy only holds 5% area including district center. 90% territory of Sang Atesh, Daraboom and Marghab is in Mujahideen control, 10% with enemy. In Qadis, Jwand, Maqur and Aab Kamari, 75% territory is under Mujahideen control, 25% in enemy hands. Enemy controls all areas of Khost capital, Domando, Dara Gatai Tanai, Zazi Maidan and Mandozi districts. Spera, Mestarbal, Lagan, Nadirshah Kot and Musa Khel are split, 50% with enemy and 50% with Mujahideen. Gorbuz is 90% with enemy, 10% with Mujahideen. Alisher is 70% with enemy, 30% with Mujahideen. Bak is 60% with enemy, 40% with Mujahideen. Babrak Tanha is 20% with Mujahideen, 80% with enemy. Enemy only control district centers of Kamdesh, Wanat Waygel and Do Aab districts, Mujahideen control 95% territory. 60% areas of Bargmatal, Wama and Nuragram are under Mujahideen control, 40% under enemy control. Enemy controls 75% of capital Parun, Mujahideen control 25% area. Enemy fully controls Bamiyan, Yakawlang, Panjab, Wars and the capital. Mujahideen have presence in 5% area of Kahmard, Sheghan and Shebar districts. Marghab district, newly created by Islamic Emirate is under complete Mujahideen control. Enemy only controls the district center of Pasaband (Shinkot). 80% area of Chahrsada, Dawletyar and Tywara districts are 70% in Mujahideen hands, 30% enemy hands. Saghaz, Tolak, Shharak and Dulayna are 65% under Mujahideen control, 35% with enemy. Lal Sarjungle is 40% in Mujahideen hands, 60% in enemy hands. Mujahideen maintain control over 30% territory of provincial capital, enemy holds 70%. Enemy only controls district center of Siya Gerd district, 95% territory is under Mujahideen control. Mujahideen hold 60% of Shinwar and Koh Safi district, 40% is with enemy. Sher Ali is 70% with enemy, 30% with Mujahideen. Surkh Parsa, Bagram, Sayed Khel, Jabal Siraj, Salang and capital Charikar under enemy control, Mujahideen carry out guerilla attacks. Mujahideen have presence in Dara Abdullah, Paryan and Rakha districts, do not hold any territory. Mujahideen do not have any presence in Shatal, Anaba, Khunch, Abshar and provinicial capital.